For the first time in its history, a little girl became the face of Pantene. 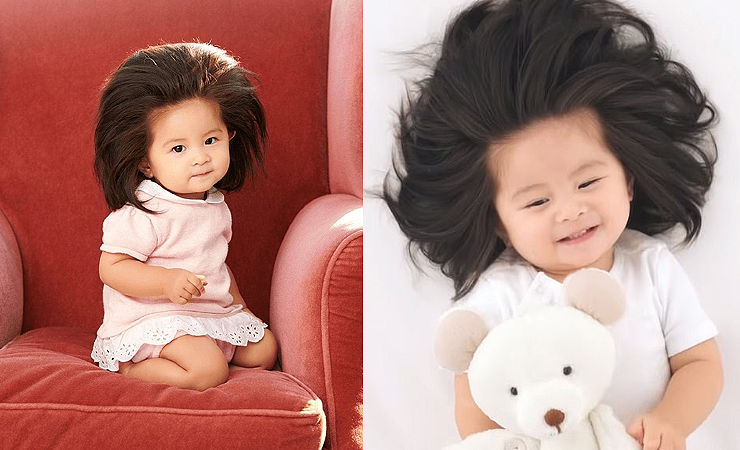 Now their hair care products are represented by a baby, who is just one year old – an Instagram star known as Baby Chanco. The Japanese girl has become famous on the Internet thanks to her thick and very beautiful hair. 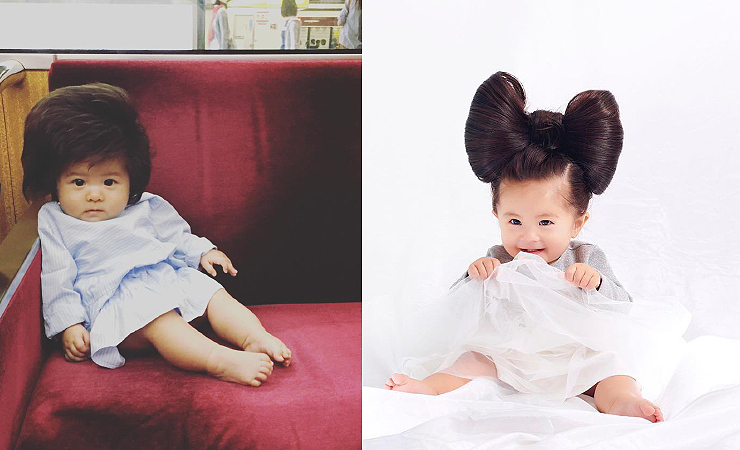 The Instagram page of Baby Chanco, once started by her mom, very quickly gained over 300,000 subscribers. According to a photo posted to Instagram on Chanco’s birthday, she already had a full head of hair when she was born in December 2017. Most babies who are born with a full head of locks lose them after a few weeks but that hasn’t happened to Chanco. Some time ago, when the first article about her appeared in the media, mentioning that the child with such a hair definitely deserves a contract with Pantene. The brand’s management did not miss this opportunity: Pantene’s new advertising campaign includes photos and a mini-film called “The Hairy Tale” telling the story about a fairy girl with a lush head of hair. An advertising campaign starring popular Baby Chanco was created specifically for the Japanese market. Now that she has a sponsorship deal and became one of the most popular kids in the world, The Fashiongton Post predicts that pretty soon many fashionistas will start copying her hairstyles, so don’t be surprised when your hear from someone in a beauty salon a phrase like “Make me a ‘Baby Chanco’ haircut”. How to Clean Shoes Properly?